Dental health is an important part of your overall health. Poor oral hygiene can result in health problems throughout the body. It is important that you not only keep up with good dental hygiene habits at home, but also that you maintain a good working relationship with a dentist close to your home in the Fair Oaks, California area. Seeing your dentist or dental hygienist for a checkup and a cleaning twice yearly, or more often if recommended, is a great way to keep your teeth healthy. Your Fair Oaks dentist or hygienist will gently perform a thorough examination and cleaning on your teeth during your oral hygiene appointment. First, he or she will examine your teeth, tongue, lips, head and neck. This allows your dental professional to screen you for any abnormalities that may need further treatment or a referral to another doctor. You may also receive x-rays to allow the dentist to detect any dental cavities in between the teeth. During this examination, you should let the dentist or hygienist know if anything feels painful or uncomfortable. Next, he or she will measure any gingival pockets, which are spaces between your gums and your teeth. Deep pockets allow food and plaque to get caught. This may cause decay, tooth breakage, infection and other problems. 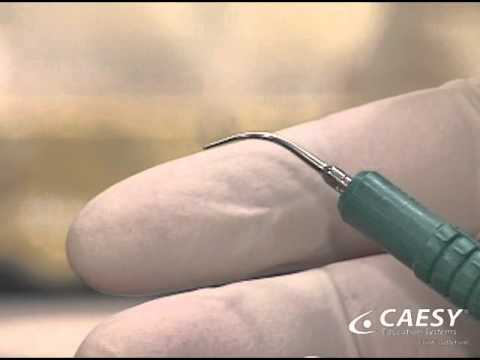 Next, the dentist will use special dental tools to clean any accumulated tartar, or hardened plaque, off of your teeth. Let him or her know if the procedure is uncomfortable for you. Finally, he or she will use a special paste on a slow-speed dental handpiece to polish your teeth. You will be allowed to rinse, and your dental professional will floss in between your teeth. Depending on your oral health status, you may experience discomfort or bleeding during your oral hygiene checkup and cleaning. If this occurs, let your dentist know right away so that he or she can take measures to make you more comfortable. If at any time between oral hygiene appointments, you have tooth pain, lose a filling, experience tooth breakage or have any other problems with your teeth, contact your Fair Oaks dentist promptly. Any problems that you do have are best taken care of as soon as possible to prevent further damage and discomfort. In between hygiene appointments, it is important to keep up good oral hygiene habits at home. Ask your dentist or hygienist for personalized recommendations. In general, you should brush your teeth after every meal, and floss at least twice per day. Ask your dental health care professional whether you need to use a mouthwash. This might be indicated if you have inflammation of the gums or if you have struggled with dental cavities. Also, be sure to clean your tongue each day to cut down on halitosis, or bad breath, and to keep bacteria at bay. With good oral hygiene and the help of your Fair Oaks dentist, your healthy smile should last you a lifetime.